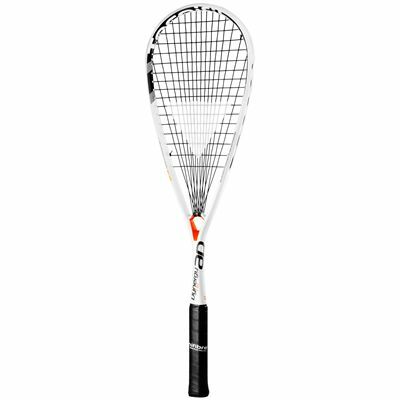 Offering impressive swing velocity, the Tecnifibre Dynergy AP 130 is a lightweight and manoeuvrable squash racket suitable even for the toughest rallies. It has a 16x16 string pattern and features a revolutionary Arch Power system to let you unleash explosive power and beat your opponent with ease. The racket comes strung with DNAMX 1.20 string and ensures more stiffness and strength thanks to graphite and H.M.G. (High Modulus Graphite) construction. An innovative Jumbo shaft is 38% thicker than the Carboflex cross section and delivers increased power and added stability. for submitting product review about Tecnifibre Dynergy AP 130 Squash Racket.